We are repopulating our archives by republishing important posts. This interview was originally published November 16, 2015. Not many vinyl printers know what it’s like on a billboard scaffold. Trent Lindmark is the exception. He entered the outdoor business in 1993 working for his grandfather in Amarillo, Texas. Trent grew Lindmark Outdoor Advertising to 1,800 faces before selling and purchasing Blue Sky Outdoor in 2011. Blue Sky has 700 faces scattered around Oklahoma and also operates Blue Sky Digital Printing which specializes in printing billboard vinyl. Blue Sky Digital Printing has the capacity to print 1.5 million square feet of vinyl per month. Insider talked with Lindmark this week about the vinyl printing business. Trent, what made you decide to enter the vinyl printing business? I got into it for a couple of reasons. The biggest reason though is the product that I was getting wasn’t lasting over a year. 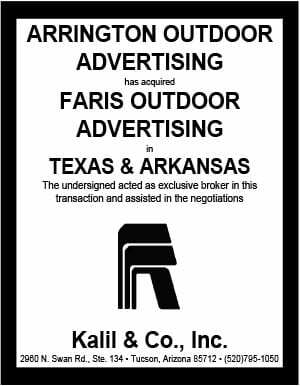 I let most of my ad contracts roll over to month to month contracts unless a cancellation notice is given so the only time I hear from the customer was when the board started fading. Once the vinyl was faded, then they contacted us wanting to drop or wanting a free vinyl. Being in the printing in the past, I know that the board should last longer than a year. The printer was just using a cheaper product in order to save money. The other reason was I was tired of waiting a week to get the vinyl. Tell us about your printing facility. Our facility is no big extravagant place by any means. The only way you can make any money in the printing business is to keep your overhead down because it’s a penny business. With our current facility though, we can print and ship 60 – 14×48 vinyls a day. 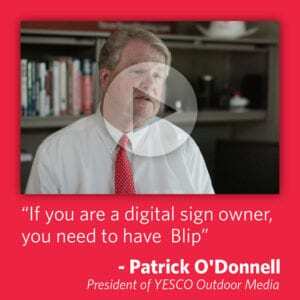 How does being in the outdoor advertising business make you a better vinyl printer? We understand what they want and need. We like for our printing customers to see us as a partner and not just another printer. The more experience a printer has with the customer’s needs, the better off they are. What are some common mistakes outdoor companies make when they order vinyl? The companies need to understand which vinyl and ink the printer is using and that it’s not all about price per square foot. It is worth the time asking about that instead of waiting a year and finding out their printer was cutting corners. Make sure you can trust them and that whatever product they are saying they use that they are actually using it. If you can go see the facility first hand that is what I would recommend. How is the vinyl printing business changing? The machines are printing faster and faster. It is all about speed. The vinyl tensile strength for the lighter weights is getting better and better so we are able to print quality products on 7 oz vinyl instead of having to always use the 12 oz. This makes it a lot better for our installers when a 14’x48’ vinyl weighs 40 pounds instead of weighing 70 pounds. What sets you apart from other printers? We have a few things that set us apart. One of the things is that since we are an outdoor company as well, we have built our printing side to the specifications that are most beneficial to an outdoor company. We use the best vinyl and the best ink to make sure our product lasts up to two or three years for us as well as our customers. We aren’t just trying to get the product out as fast as possible without worrying about quality. Another thing that sets us apart is our new program called Promo Bucks. We are offering outdoor companies with the opportunity to get free promos based on the amount of printing they do with us. For every square foot that is printed with us, 5% of that will go towards a free promo. So for 1000 square feet, 50 square feet will go towards a free promo. The last thing that I’d like to mention about our operations that sets us apart is our turnaround time. We have been able to get vinyls out the same day as the artwork is approved, as long as it’s approved by noon. This means for areas that are a one day ship, they get them next day.